Marijuana use has recently become legal in my home state, and as a result I thought it was fitting that I educate myself on some marijuana history through film. We’ve already tackled Harold and Kumar, and I’ve see Fear and Loathing in Las Vegas enough times to satisfy anyone. 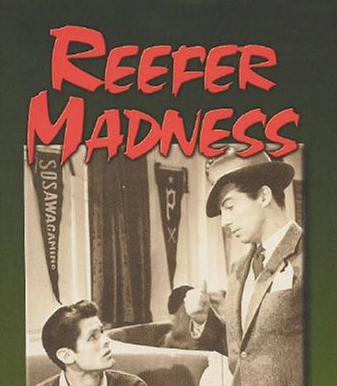 So the next step, naturally, is the propaganda-but-not-propaganda flick Reefer Madness. Which is also available to watch as a musical, I’ve just learned. The gist: Marihuana is sweeping the nation! And yes, it is spelled like that in the movie. Back then it was mostly a menace from Mexico. A gang of habitual pot smokers based in a generic town in America are having the time of their lives. Dealers Mae and Jack supply a fair amount of adults, and have started to move into addicting high school students. One of these is Bill, a fine upstanding young man that we in the audience can’t wait to see turn into a drug addict. The results don’t disappoint—he starts slipping in all his activities, laughing uncontrollably at random moments, even fornicating with loose women while high. But when his sister Mary attempts to rescue him from the pot den, the real chips begin to hit the fan. Bill is accused of murdering Mary, even though he has no memory of doing the deed. Meanwhile, the other “addicts” start to spiral out of control. Yes, it’s funny to watch in 2015. But it’s also surprisingly compelling, so keep an open mind. What I “learned”: If a “drug movie” (i.e. a movie dealing with addiction or the use of drugs as a theme) is written well, you don’t know who to root for. As much as people can try, drug users aren’t universal villains. Even in the 1930s, the users of marijuana individually aren’t bad people. The exception, of course, are drug dealers. Mae is written specifically to be doubtful about the morals of selling pot to kids. Her end fate isn’t seen in the movie past her arrest, but we can assume it isn’t pretty. Jack definitely gets the short end of the stick, as well as the instigators who first got Bill and Mary “hooked” on reefer. Even then, their innocence is still held as a possibility. Maybe we’ve come too far in the war on drugs for any addict to be viewed as universally evil. Or maybe, even in the 1930s, we never really believed that they were. See this movie if you like: Gangster or crime movies with a bit of a twist. The entire plot hinges upon Mary’s murder and the circumstances surrounding it. A surprising amount of time is spent illustrating the lives of the dealers and the goings-on of the pot den. It’s certainly a bed of sin, but it’s fascinating to watch what people imagined what a bed of sin looked like in 1936. For a 2015 hipster, it looks like a lot of fun. 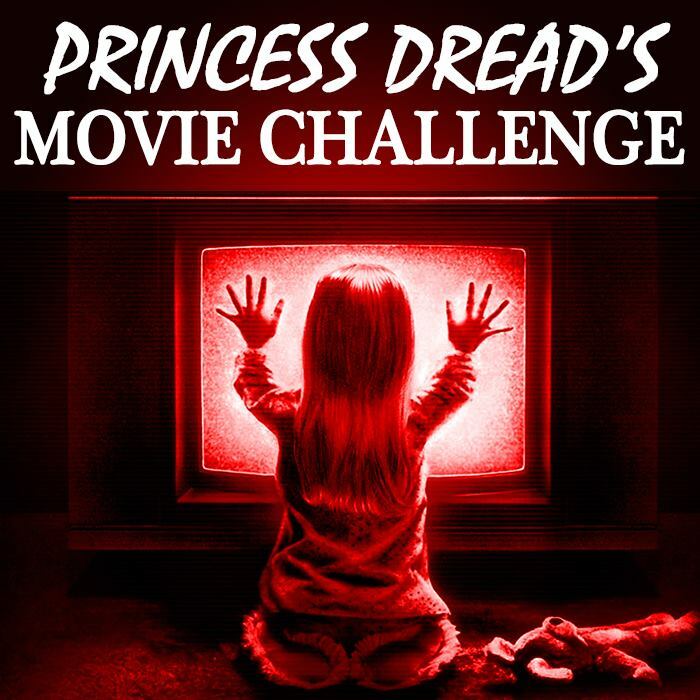 Avoid this movie if: There’s really no reason I can think of while writing this. It’s just over an hour. Have fun!